Konica lets you get up close and personal with a minimum focusing distance of 0.45 m. The Konica Minolta Maxxum 50mm f1/7 AF lens is a versatile camera attachment that produces a smooth macro switch that is excellent for focusing on action. The f/1.7 allows you to take pictures in the bright outdoors, and the construction of this 50mm lens features six elements in five groups. With its utilitarian additions to your kit, you can get the images you want due to its seven diaphragm blades.The 50mm Minolta Maxxum has a 32- to 47-angle that can capture the entire view with its full frame format. This 50mm model can produce clear, crisp, and vibrant photos with its manual focus capabilities. Its can be used with Sony or Minolta A-mount SLR, SLT, and DSLR cameras. It conveniently has an integrated pull-out hood and metal mount system with a wide rubberized focus ring. This model weighs approximately 6.6 ounces and measures 1.5 inches by 2.6 inches by 1.5 inches.The Konica Minolta has a comprehensive autofocus lens system. This model covers most lenses, including wide-angle, telephoto, wide-range zooms, reflex, soft-focus, and large aperture types. 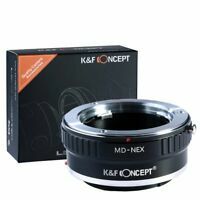 The Maxxum AF lens will attach to nearly any Minolta device to form an integrated unit. Essentially, focus and exposure data flows from the lens’ read-only (ROM) integrated circuit into the camera’s central processing unit. This model is a product of Minolta’s advanced computer-assisted optical design technology of making their own optical glass.With this model attached to your Minolta manual focus camera, adjust your settings to any aperture priority or shutter speed. Using its focusing screen, manually adjust the shutter priority and the frames per second that your device shoots in. This model has excellent exposure compensation and produces clarity in sharpness starting with the original photo. It can be a prime lens that lets in the perfect amount of light to create the best shot by using the ideal exposure settings. Photographers will appreciate the depth of field, focus scales, and metering in the Minolta AF 50mm lensThis Minolta product allows you to use flash on your preferred SLR, SLT, or DSLR camera so that you can get a shot in any lighting situation. This 50mm product has a well-defined focal length and can take shots in any setting from f/1 and f/2 to f/4. Choose from manual or automatic mode on your favorite Minolta or Sony device and use your photography accessories to enhance your shot. 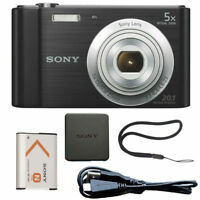 It has a magnification view of 0.15x and can zoom into your subject clearly and easily. This product weighs 6 ounces and measures 2.6 inches in diameter. 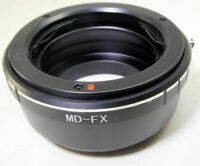 It is compatible with both digital and film cameras.This is one of Minolta’s lenses that has no noticeable vignetting using just a regular filter. It has a filter size of 49mm to capture details. With this model, you can also get the bokeh that you want by adjusting the settings of your camera, such as the zoom or flash. You can also achieve especially sharp images even without an effect filter. Great into to macro lens! I picked this up after being dissatisfied with "macro" lenses that weren't "true macro" lenses. 1:1 magnification is super cool. To get to 1:1 and be in focus you've got to be CRAZY close to your subject. So much that sometimes a ring light won't actually be able to shine on anything because it's in the shadow of the ring. Do yourself a favor and also pick up a cheap AF teleconverter for not only more magnification, but the ability to back up and still achieve greater than 1:1. The distance from the subject helps a little bit for lighting. Have taken several photos since I get this lens, from beautiful portraits to nice landscapes. I can't believe the quality I am getting with such an economic lens. Good build quality, sharp, easy to handle because of its low weight and small size. The only issue you will have is only if it is your first time with a fixed lens you'll need to get used to it and learn more how to compose and frame, but that has nothing to do with this review, you will love the results anyway. I highly recommend it! The 1.7 aperture gives you twice the speed of the standard 3.5, in low light. If I had hundreds of dollars, I'd get a better lens, but for the price, this prime lens gives very slightly better results in daylight, and significantly better in low light, compared with the standard zoom. Great but difficult to manually focus. Great lens though! This is a great fast lens for the money. I have no problems using it on the Sony a-33 and A-500. Two very different camera systems. Sony SLT's are notoriously bad at accepting aftermarket lenses, but this one being a Minolta has no problems at all. It's 1.7 F range is fantastic and gives some of the clearest photos I've ever taken. The only thing i dont like is that the focus ring is almost unuseablely thin, and makes for very difficult manual focusing when you want to ditch the AF. but this is rare and not that much to deal with. A great buy for anyone using Sony/Minolta cameras. In fact I might say a "MUST" have to be honest.